Not the Casino in Vegas but the cultural capital of Myanmar. 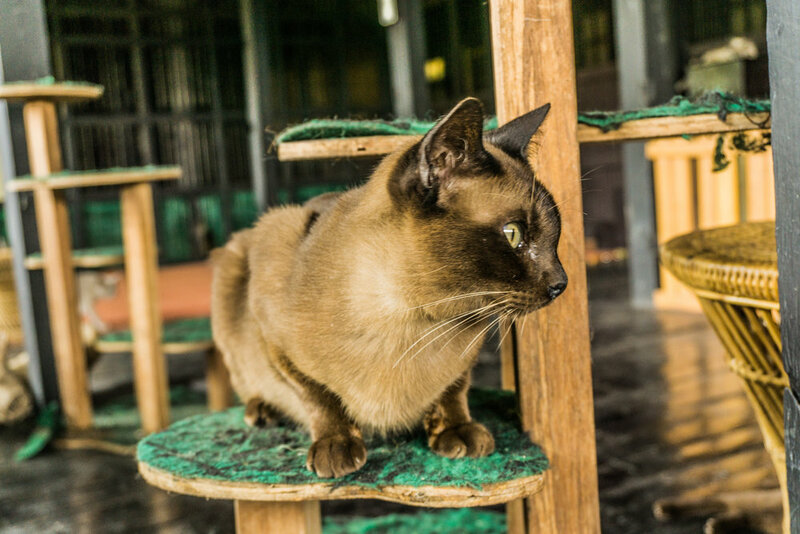 Once a bustling metropolis, today it's a sleepy, slow city with a strong Chinese feel rather than the Indian influence in Yangon. Our stop here was brief. 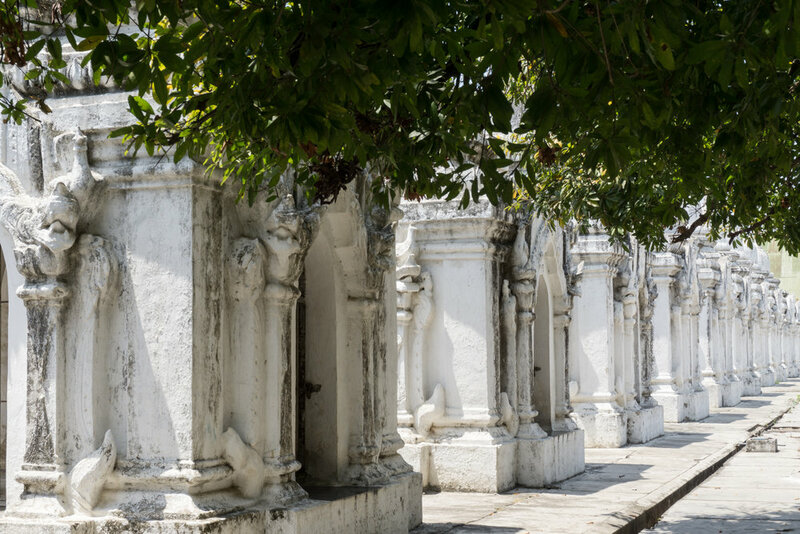 While Mandalay Palace and Mandalay Hill are the main draws, our favorite was Kuthowdaw Pagoda. The temple is the site of the "World's Largest Book", 729 marble slabs with Buddhist scripture, each page housed in it's own small building. The locals all sit in circles under a tree with their lunch as the afternoon slowly passes. 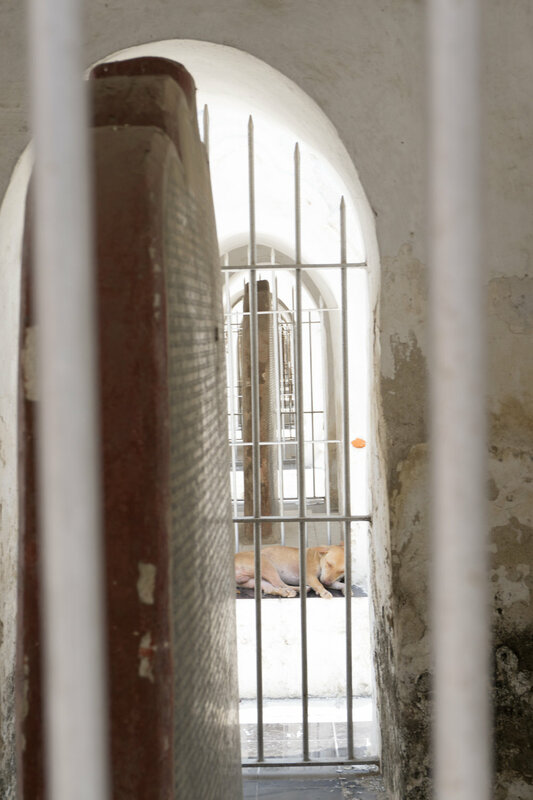 As you get lost in the hundreds of small structures, you see dogs and cats taking refuge from the sun by curling up close to the marble tablets. The corn vendor recites her sales song over and over, and I found myself in a shady corner at piece watching the afternoon sail by. Sunset at the Bamboo Bridge is also a tourist must-do, but be warned: you will be one of many jostling for that perfect shot. When I was a child, I went through a brief phase of wanting to be an archeologist. Indiana Jones had recently come out. We played Carmen San Diego on our classroom's single computer. And Ms. Sewell's fourth grade class, to which I belonged, spent one semester studying Egypt, King Tut's tomb and the secrets of the pyramids. The dream of unlocking a lost civilization, discovering an ancient culture faded as the years passed....it felt as though there are no secrets unknown in the modern world. 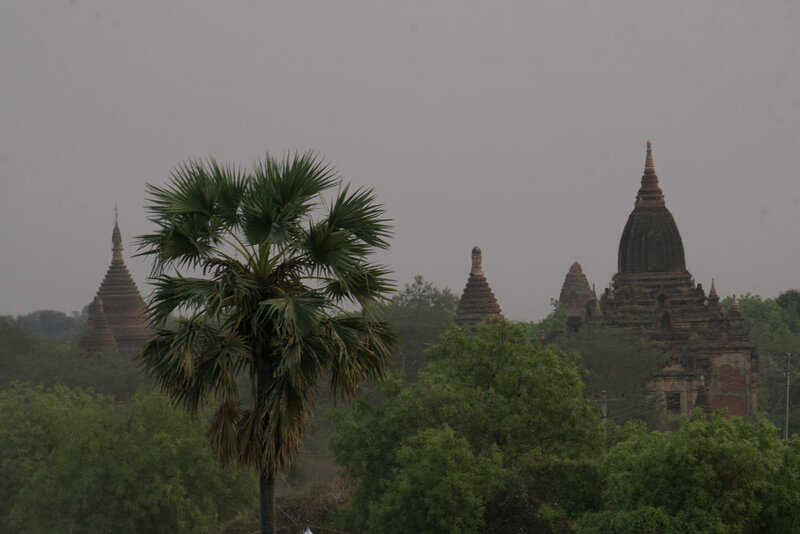 And then we came to Bagan. 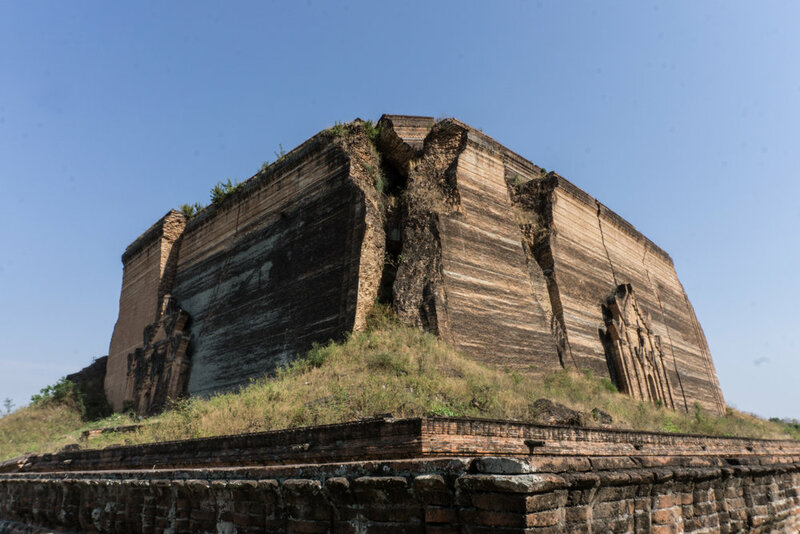 Myanmar's temple city is a monument to the folly of kings. Once the capital of the so-called Pagan Kingdom, it was the cultural, political and economic centre of the empire, a cosmopolitan centre that attracted scholars, monks and politicians from all across the continent. Over the course of 250 years, each successive king and his wealthy subjects built grander and grander pagodas, trying to outdo their ancestors, until finally, the Pagan Kingdom collapsed under Mongol invaders. Today the vast, flat plains are covered with stone pagodas in various states of collapse, rising from the earth as far as the eye can see. 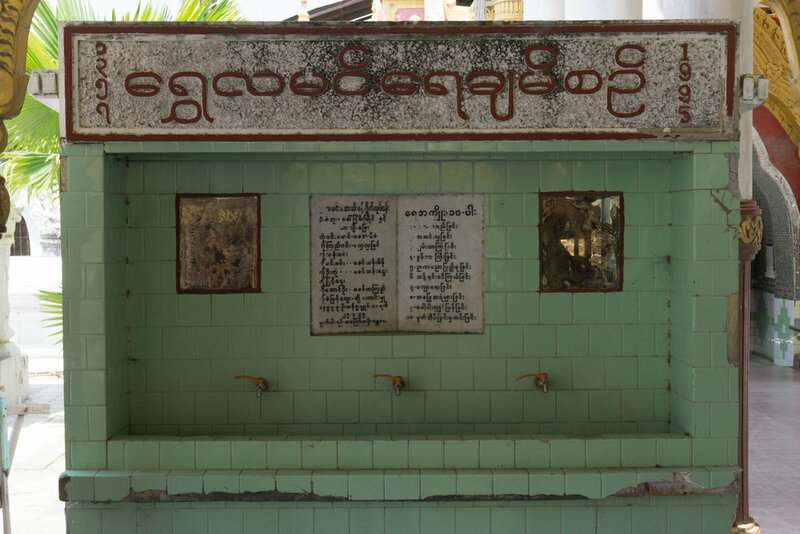 The area is not recognized as UNESCO Heritage Site, in part due to the brutal political history of the country and the fact that the military, in many instances, have either built over the old structures or constructed new ones in Bagan, in honor of generals and dictators. Those against the UNESCO classification say this would lower the organization's standards and send a message that such behavior has rewards. 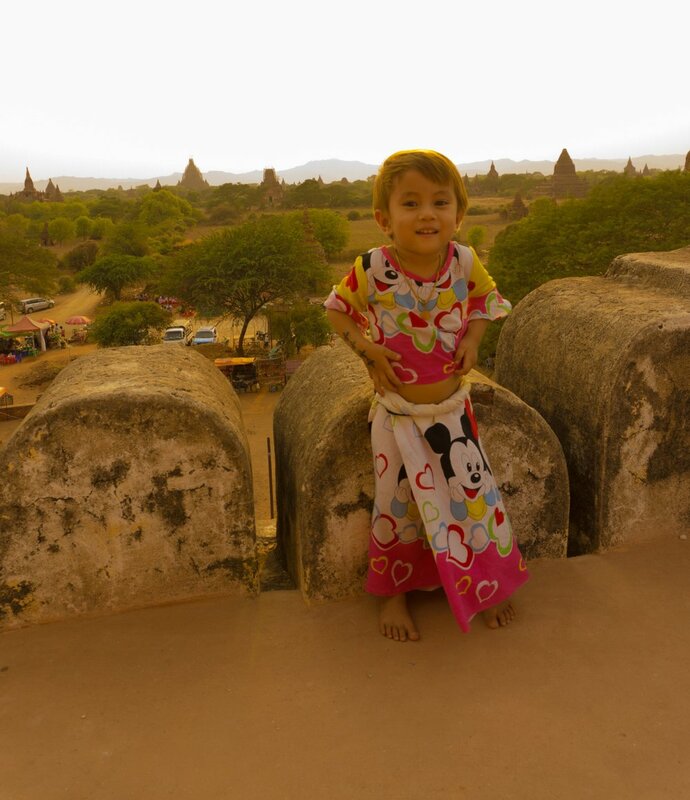 As a result, the protection and preservation of the site has been left to the locals, and Bagan continues to decay as people gouge out and steal friezes from the wall, tourists stub their cigarettes on the temple wall, and "restoration work" includes covering the original tile floors with cement. In short, there are few rules about exploring these temples. One can simply rent an e-bike (tourists cannot rent motorbikes in Myanmar), and take off. Many of the pagodas remain uncharted, and each one makes you feel like you are first explorer to touch their vine covered brick walls, to climb the precariously narrow, dark, collapsing stairs and emerge from a small square skylight to suddenly have the whole of Bagan spread out before you, simultaneously grand and decaying, a reminder that even the greatest of kingdoms rise and collapse. The larger, more well-known pagodas are a slightly different experience. They are labelled on most maps, have signs out the front, guards at the entrance, touts everywhere and shops all along the outside. 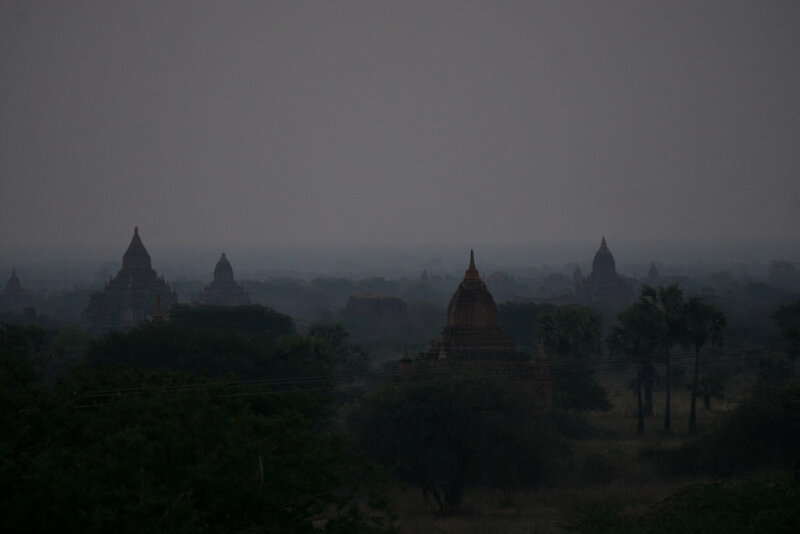 The temples are still living - local people continue to pray inside, and monks make the pilgrimage to Bagan as it remains a holy site. At sunrise and sunset, you can climb to the top and watch as the balloons take off across the red sky, and there is moment you realize your archeologist dreams, as you sit on a 7th Century stone temple, built by an Empire long gone, watching the same sun that rose over those people rise over you. 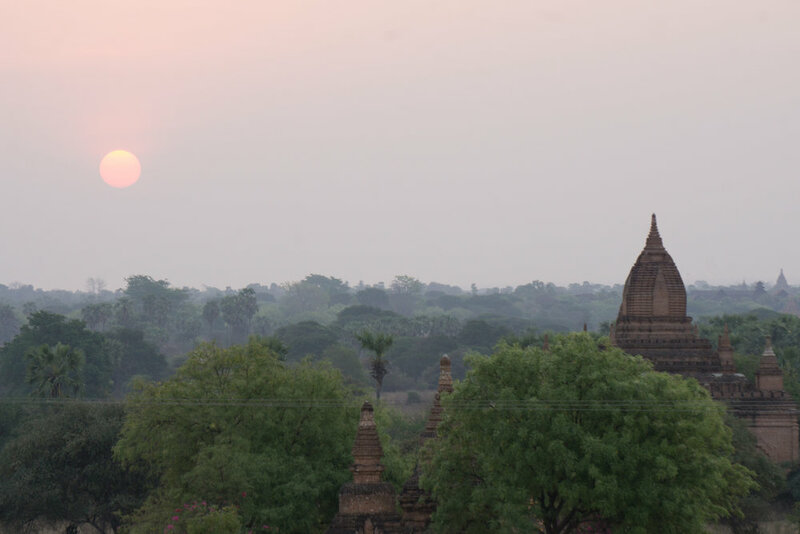 It is a 7 hour bus ride from Bagan to Nyuangshwe, the town for Inle Lake. In the early morning, we head out on a small, brightly colored, local fishing boat to explore. As you zoom into the middle of the lake, modernity seems to melt away. The lake is a living community, a lifeblood for local people who rely on it to survive. Small communities, comprised of houses on stilts, line the banks of the river, where we see people bathing, washing clothes and even cleaning their livestock. Children scamper about, trying to catch fish and waving at the passing boats. 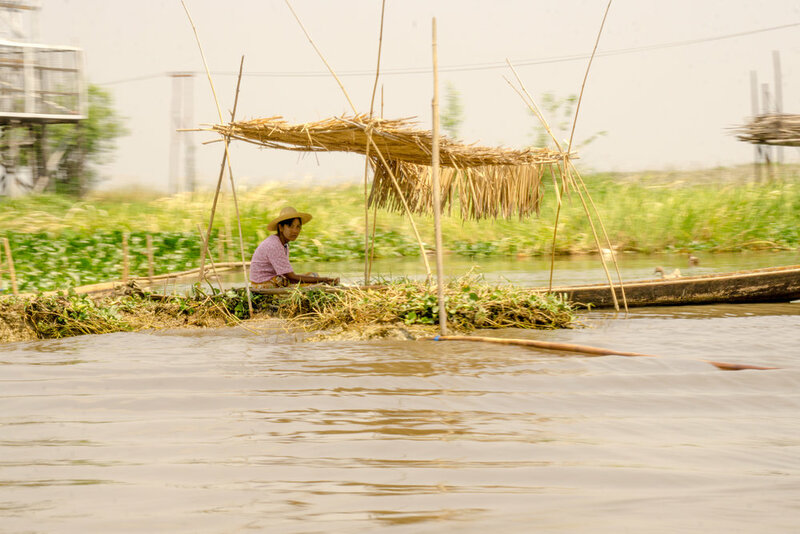 We sail between the famous floating gardens, found all across the lake, muddy surfaces which are converted to farms that grow eggplant, mint, tomatoes and fruit. There is something extraordinary about the ingenuity of humans to survive in any climate, and the rich Irawaddy River is no different. The whole "city" is absolutely breathtaking. Sadly, there is also a staggering level of pollution affecting the area. Through a lack of infrastructure, locals dispose of their garbage in the river, and in the shallow water one can barely see the bottom, so thick is the film of plastic bottles and discarded chip packets. 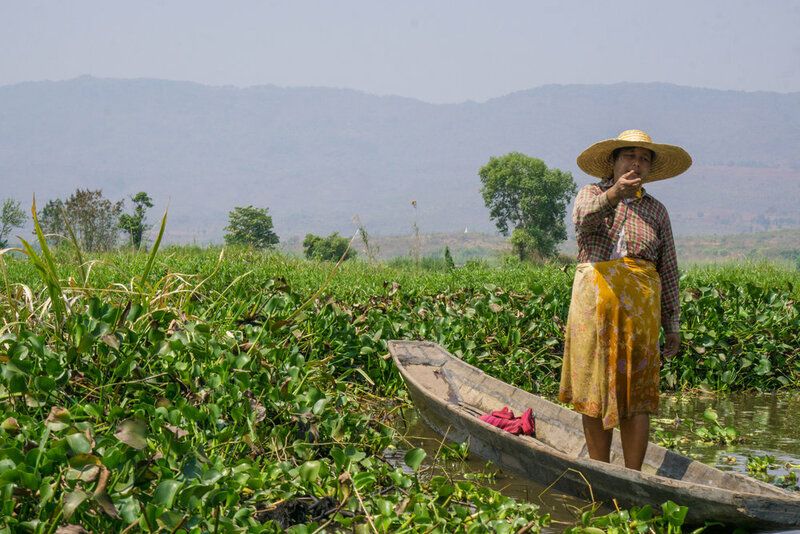 They wash their clothes with toxic soap, and load their floating farms with fertilizer that severely damages the ecosystem, and the lake is rapidly losing both wildlife and the ability to continue to sustain it's communities. Some inroads are being made to help "rejuvenate" the ecosystem by the UN and we definitely hope the progress continues.